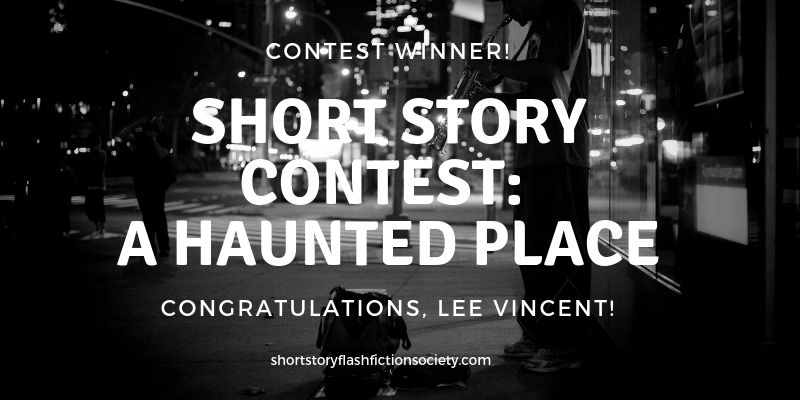 Winner of Short Story Contest! It hadn’t always been like this. She knew that one day, things would change again, but for now, it was just best to accept things as they were. She sighed and fiddled with the elastic band on her wrist. It had taken some time, but it was just stretched out enough to wrap around her hair three times. Normally, she only had a band wrap twice, which was too loose, and she had to just stretch them out perfectly. Did she have a weird amount of hair or something? Her distracted thoughts about hair were interrupted by a chilly wind and a light drizzle. Ugh. She thought she’d found a decent place, out of the view of prying eyes, where she could sleep and not be bothered by passersby, or worse, police. But the tar rooftop wasn’t protected from the rain or wind, so it was time to find somewhere else. She wrapped the woolen blanket around her shoulders and glanced around to find another place. On the right, she saw it: a kind of dome, it seemed, with a spire behind it. It didn’t look guarded or blocked off. It was about at the same level as the blacktop roof, so it shouldn’t be too visible. It seemed all right. Well, it was out of the drizzle, anyway. It wasn’t that she disliked drizzle, but it would get everything damp. And that meant everything would be damp for a while, and then it’d get this odd… moldy smell. That was what she didn’t like. Hopping off the roof, glancing around to see who could see her, she stole across the alleyway to the rickety metal staircase leading up to the dome. It was blocked off by a single rope: no sign, nothing, so probably, no one would come looking. It was neither dangerous nor obvious, so she clanged her way up and hunkered down, peering over the sides to see if anyone had noticed. It wasn’t the most comfortable bed, but it wasn’t wet, either, so it would do. She awoke sometime in the middle of the night: she wasn’t exactly sure what time it was, but everything was dark, and the streets were quiet. Other than the creaking of the stairs, that was. Was someone on them? Or were they just moving in the wind or with the temperature? Perhaps it was someone like her, looking for vague shelter from the rain. She lay still, waiting to see if the footsteps got closer. Then they stopped. There wasn’t anything halfway up, was there? She had been in such a hurry to get underneath the dome that she hadn’t really noticed. And why would someone stop halfway? She lay quiet and listened. Nothing more seemed to move; at least, not on the staircase. Instead, she could hear soft chatter in the street below, as people passed by, probably on their way home from parties, drinks with friends or colleagues, opening their umbrellas with the soft fwoosh of material and the pop from the metal clicking into place. Their footsteps echoed off the brick buildings, and she felt somehow comforted. It was familiar. The sounds of city life, or even small-town life, and the evidence that time went on. She chided herself for being so dramatic. It was just people walking home. Pulling the blanket up underneath her ears, she nestled in to try to doze again. It must have been her imagination. What woke her the second time was not a noise at all. In fact, it was that there was no noise. Nothing at all was making any sound. It was so quiet that she felt that she could hear the blood moving in her veins and her bones creaking as she shifted. The rustle of the woolen blanket felt deafening. There was no whistle of wind. No pitter-patter of rain. Nothing was moving. She wasn’t used to such silence. She sat up, pushing the blanket aside with what felt like thunderous noise, and crawled over to the edge of the platform underneath the dome, peering through the banisters. Whatever she had thought was happening certainly wasn’t what she saw. There seemed to be some sort of… soundless parade? What was that? She felt transfixed, staring down on to what felt like it should be a secret. There was a band: ghostly, flickering, and deathly still. She squinted. Were they even carrying instruments, or was that her imagination? Her eyes flitted over the figure in front. What were they called? She couldn’t remember. His baton was thrust into the air, his knees high in a sort of cheery march. Behind him seemed to be some sort of flautist: her hands were near her face, as if she was holding a flute, but Thora wasn’t entirely certain that there was a flute at all. Behind the mystery flautist must have been the brass section. Thora was certain that she could tell what was in their hands, but their forms, or their bodies, or the lights kept shifting; she couldn’t tell. Their chests rose and fell as if breathing hard, and their fingers moved quickly, dancing across invisible keys. Behind the brass section must have been percussion. Wasn’t that how it went? Details just seemed hazy, even though she had played the tuba in high school and had even tried out for marching band. Perhaps that was because she hadn’t made it on. Still, there was no sound. Maybe it was some sort of performance? No, there was something different about this. When she looked harder, it dawned on her that the entire band… had no feet. Nothing. Not the marching maestro, not the people with invisible instruments, no one. It wasn’t as if they were cut off or disfigured. They just simply weren’t there at all. The light was playing tricks on her eyes, certainly. This was ridiculous. She watched as the hushed band passed by: seemingly joyous, but noiseless. They didn’t necessarily look out of place, but as there were no other people around, and all the shades that Thora could see were drawn, it was impossible to know if anyone else could even see them. Maybe they could hear it, and she had left earplugs in or something. Her fingers darted up to her ears, checking to see if this was the case, but she came up worryingly empty. Fine, she thought. It’s just some teenagers playing a prank. This is stupid, and I’m just letting my imagination run away with me. She crawled back to her makeshift bed, defying her pounding heart and huffed as she lay down again. It was like being a kid again and being spooked by the monster in the closet that was no more than a lumpy sweatshirt. Thora was reassuring herself about how silly she was being when she realized that it wasn’t silence that she was hearing anymore. It was a low hum. Had that been it all along? Had it drowned out everything else, and she had just interpreted it as silence? She felt her skin prickle up, and the unmistakable eerie feeling of being watched. Teenagers. They were the worst. She waited a few moments, expecting a clattering on the staircase, or rocks to be thrown, or giggling echoing off the buildings like the footsteps, but nothing changed. She sat up and inched over to the edge again. In the clearing, surrounding the domed tower where she was currently residing, was a circle of deer. They fanned out, surrounding her stronghold, but… they were all looking up at her. They, too, seemed to have no feet at all. The rain began to fall, and the cold blast of wind told her this was not a dream. The deer began to close in, hovering above the ground, the rain piercing their ethereal forms easily. Their eyes fixated on her, beckoning to her. As surreal as it seemed, she still felt her blood turn to ice. And she felt their gaze, drawn to them like the sight of a car crash. Lee Vincent loves kitties and pea pods, and writes for the thrill of it all. Winners of Short Story Contest #8!